The Minnesota Boychoir takes the beauty of voice to the next level with more than 150 singers on stage for each performance. The harmonies are extraordinary, the music uplifting and the boys themselves, incredible members of their community. Founded in 1962, the Minnesota Boychoir has toured five continents and June 19 – 25 marks their first tour of Winnipeg. 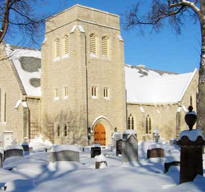 They land at Holy Trinity Anglican Church on June 22 (8:00 pm), St John’s Cathedral on June 23 (4:30pm) and St George’s Anglican Church on June 24 (10:30am and 2pm). All concerts are free to attend. The choir’s vast repertoire includes challenging sacred, classical, folk and contemporary choral music sung in more than 30 languages and dialects. Each season, they spend hours in rehearsal, build community through music retreats and tour, and perform up to 30 concerts in churches, hospitals, schools, retirement homes and concert venues across the globe. The Minnesota Boychoir trains young men to be outstanding musicians and strives to help them develop a sense of poise and self-confidence through education and performance. A choirboy is challenged to sing well, stand tall, stay on schedule, take pride in his appearance, respect others and tap into the best part of who he is and what he can accomplish. 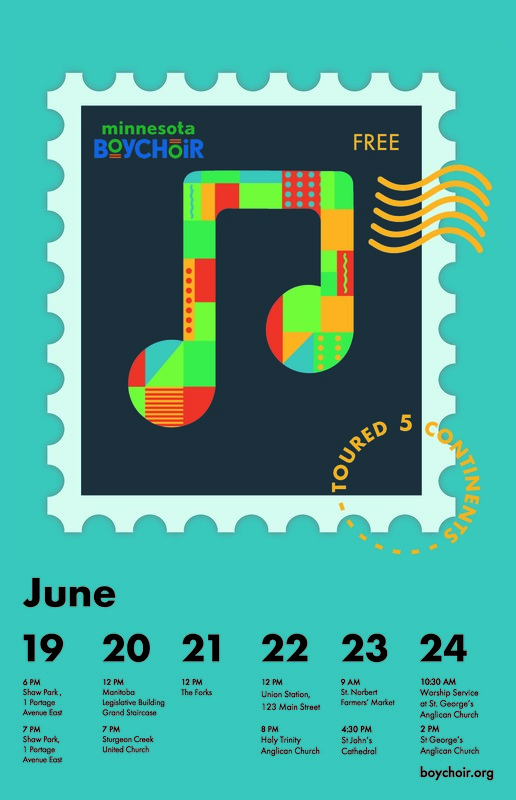 Please visit boychoir.org for more information. Join us at the Cathedral on Saturday, June 23rd at 4:30 pm when we will be hosting the Minnesota Boychoir. For a preview of their music, click here.